This car cartoon for kids is about working together when silly things happen. 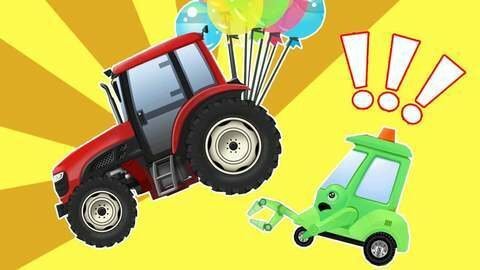 After green and blue repair car give him too many balloons, red tractor flies away and then gets stuck in a tree. Can orange dump truck help him out? Enjoy more free and funny HD car cartoons at SeeZisKids.